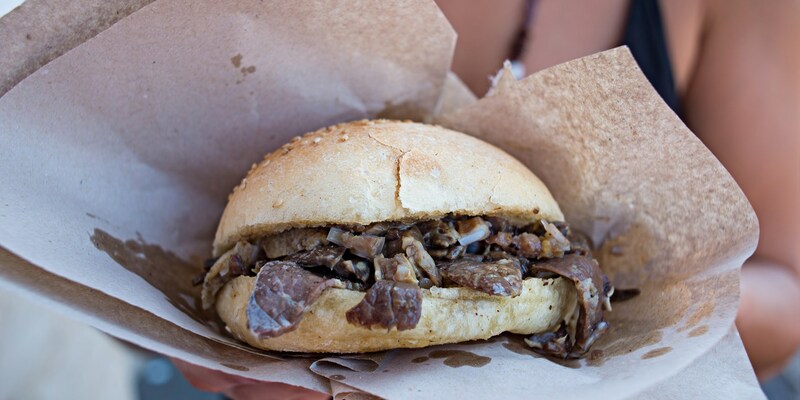 Sicily is famous for its fantastically fresh fish and seafood, but when it comes to street food the locals love nothing more than a sandwich stuffed with lungs or a piece of spit-roasted intestine. Get to know more about these rustic delicacies and the chefs who dedicate their lives to cooking them. Ah, Sicily. Incredible landscapes, blazing sunshine and some of the freshest fish and seafood around. 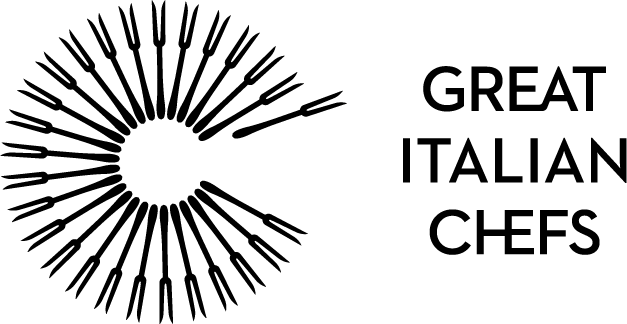 The Italian island is a tourist hotspot, with travellers flocking to its cities, beaches and mountains to soak up the local culture. But while the restaurants serve glistening sardines lightly cured in local lemon juice and bountiful plates of pasta alla norma, the street food vendors of Sicily tend to specialise in something more robust. Often cloaked in a column of dark, billowing smoke, they can usually be located by their shouting, the queue of locals waiting to order and the unmistakably smell of grilled meat. 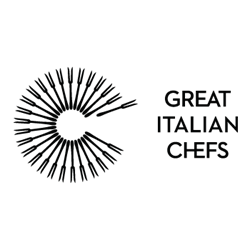 Don’t expect sausages, burgers and steaks, though – on Sicily, the majority of the meat dishes served are made with offal. The city of Palermo, in particular, is famous for its offal dishes. You’ll find them being sold on the streets surrounding its vast food markets, rapidly being cooked and prepared by chefs who have been cooking the same delicacy every day for years. This is authentic – some would say visceral – fast food, and while there are a few branches of McDonalds on the island, nearly all the locals would take a spleen sandwich over a Big Mac any day. This tradition of eating offal was started by Sicily’s medieval Jewish and Muslim communities, who would eat it in place of pork. Due to the expulsion of Muslims by Frederick II in the thirteenth century and the expulsion of Jews in the fifteenth century due to the Spanish Inquisition, these communities unfortunately no longer exist (although they are beginning to grow again in modern times). However, their legacy of eating offal remained. When it comes to Sicilian street food, there are two primary dishes to choose from. Pani ca meusa – literally ‘spleen sandwich’ – is exactly what it sounds like. 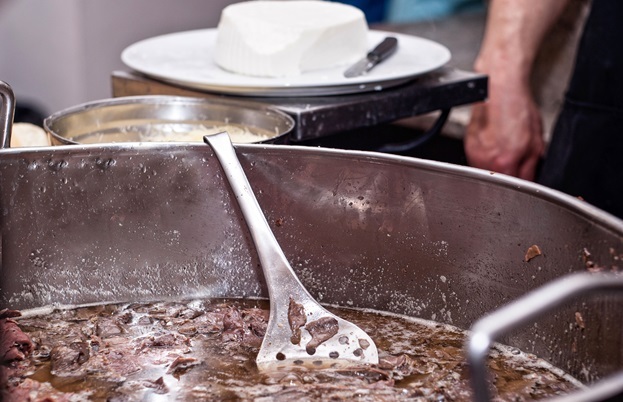 Known as vastedda in the local dialect, it’s made by frying veal’s spleen (and sometimes lungs and trachea) in a big round vat of pork lard, and seemed to become particularly popular around the nineteenth century. Once the various parts have been fried for a long time until soft, they’re stuffed into a soft sesame roll which is then squeezed so the excess fat can be drained back into the pan. The result? A slightly chewy, intensely flavoured and very greasy sandwich that can be served either schettu (‘single’), which is plain with a little lemon juice, or maritatu (‘married’), which comes with a grating of Caciocavallo cheese. It might sound like an acquired taste (to say the least) but the locals can’t get enough of it, and many are surprised about how good it tastes – especially if you can put any thoughts of lungs and spleens out of your mind. Spleen sandwich not your thing? 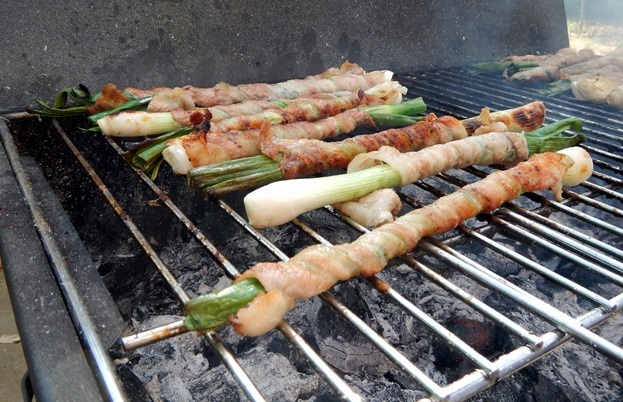 Not to worry – why not try stigghiola (or stighiola): a sheep or goat intestine wrapped around a skewer or spring onion and grilled over coals until charred and crisp. It’s then chopped up, heavily salted, doused with lemon juice and eaten hot. It has a very meaty, smoky flavour and chewy texture, which is punctuated by the occasional crispy mouthful. Stigghiola are becoming harder and harder to find on Sicily as tastes change, but if you happen to see a stall selling them, be sure to try one – they’re the most authentically Sicilian food you can get. Part of the fun of ordering these dishes is watching the people who cook them. Known as a stigghiolaro, the average street food chef needs to stand out from the crowd. They do this by first ensuring their version of the dish is the best it can be, but also by having the loudest voice and adding a bit of theatrics to the service. When there’s a queue of locals waiting for their lunch, you need to be fast, and some offal chefs can whip up several spleen sandwiches in a matter of seconds. Offal certainly isn’t as popular as it once was on Sicily, especially in the past century when meat became much more affordable and readily available. But while the descriptions of Sicily’s street food might be a bit too much for the squeamish, there’s no denying the flavour is deliciously intense. It would be a shame to visit the island without at least trying one of these traditional dishes, and who knows – you might fall in love with the flavours of pani ca meusa or the crispy, chewy texture of stigghiola. Just try not to think about the raw product.